Treat yourself to a romantic holiday for two on Waiheke Island! This self-contained holiday apartment in the Onetangi vineyard area offers the tranquility of a country setting yet is only 5 minutes from Onetangi beach. 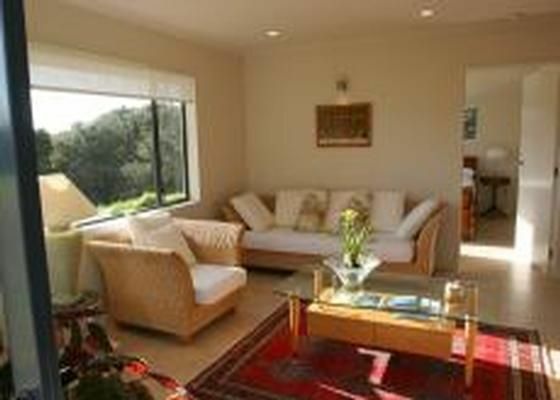 The apartment is attached to the main house which is set on a 10 acre estate on the north coast of Waiheke Island. The apartment is equipped with air conditioning for comfort in summer AND winter and has a spacious two person spa bath for your relaxation. A large outdoor area enables you to enjoy sun and fresh air to the fullest. Open plan living with lounge, tv, dvd, stereo. Dining area. Kitchen with fridge/freezer, microwave, dishwasher,toaster, kettle, coffee making facilities, stovetop. Bedroom with king bed and second tv. Large bathroom with spacious spa bath, toilet, vanity and shower over bath. Linen supplied. 1 night bookings available with a surcharge of $75 - on request. Great location as walking distance from the beach. Great location as walking distance from the beach. Very private and quiet. Accommodation is Modern and well maintained. Good facilities, kitchen and appliances also.